How To Play Guitar video series, part 3! In this part of the ‘How To Play Guitar’ series, I talk about how to turn pentatonic shapes into modal shapes. This means that those open position chords, which turned into barre chords, which turned into pentatonic shapes can now become modal scales. You have in this way built upon previous knowledge, no time or knowledge has been wasted or abandoned. When I first came up with this concept I realized that this was it, my key contribution to learning the guitar, the pentatonic modes. It makes sense because you build on what you already know. This approach also means that you start to connect the ear with intervals. By adding a maj7 (Ionian and Lydian) you start to hear music on a different level. If you instead add a b7 (Mixolydian) may seem like a small change but to the ear it’s massive. The deeper the connection is between the ear, the theory and the patterns, the better. The reason I keep it this simple is so you eventually can let go of this and just play naturally. The fewer rules and guidelines, the more likely this is to happen. At 4:48 into the video I talk about the minor pentatonic modes, these work in the same way as the major modes, you add certain intervals to the Minor Pentatonic to create any of the minor modes. The easier you find playing the minor pentatonic shapes, the easier you will take to the minor modes. 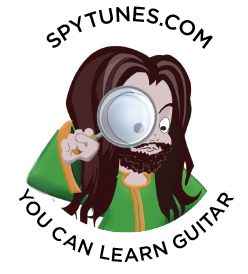 You can preview all exercises in the advanced guitar lesson library and learn how to use all these concepts when you take the advanced course.